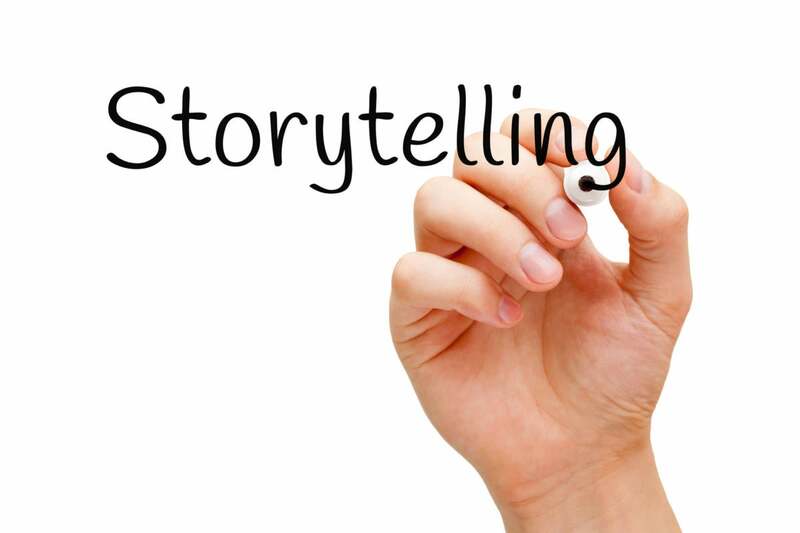 The art of storytelling as a way to pitch enterprise products is an effective way to really showcase the value of the product writes columnist Rob Enderle, who experienced this firsthand at the recent IBMEdge conference. I recently attended IBMEdge [Disclosure: IBM is a client of the author]. This is the first IBM conference I’ve attended since they hired screen writers and other story tellers to help them more effectively pitch products. The idea of using storytellers is a good one because often product pitches are reduced to nothing more than incredibly dull lists of technology interspersed with performance claims that often are really hard to validate and the end result is, during a show like this, the audience has a great opportunity to catch up on email, or would, if the local Wi-Fi performance was better. At IBMEdge, particularly during the second keynote, I saw how this practice does a far better job of showcasing the true value of the product, in addition it makes the related presentation far more interesting to watch. In other words, I noticed far more people engaged by the talk than is typically the case. I walked away with a better sense of the value of the related offerings. Let me walk through what may be a best practice when it comes to pitching products at events like IBMEdge. I’ll also make some suggestions on how this approach might be improved. The most interesting parts of events like these are often the customer stories that are shared during the event. Customers not only have more credibility than the vendor, they tend to tell stories that are far more interesting than the vendor pounding you with tech in their attempt to keep every single engineer happy through mentioning each contribution to the product. Typically, the customer part is an isolated segment coming toward the end of the event or about the time when most of the audience is worried their brains will start leaking out of their ears. What IBM did was create a cadence where first the product and technology was briefly explained and then a customer would come on stage to talk about the benefits they received validating the claims IBM made. This approach did two things, it tended to keep us engaged during the pitch and made it so we could actually use and repeat the claims largely because we could quote the customer not the vendor as the source. This created a far more interesting story that started with the tool and ended with a customer who praised it. It reinforced the message so that more people likely left the keynote with a memorable experience. In effect, by doing it this way both IBM and IBM customers got more value out of the effort. Customers were more willing to consider the IBM product and the IBM folks in the audience got a better sense of where the value actually resided in the offering, which likely helped them with priorities, in terms of future enhancements, because they had a better sense for the parts of the product that the customer praised. Now while this was arguably one of the best combinations of vendor/customer I’ve seen in a keynote I think it could be further improved. The IBM component was still relatively dry and I think a more linear story that spent more time on the problem(s) the product was designed to address, then spoke to how the vendor was staying connected to customers for enhancements, and then led into the customer component which would not only address the benefits of the product but praise the close relationship and speak to how well coupled the vendor’s roadmap was to the customer’s emerging and current unmet needs. In short, rather than just validating the product this would validate the approach and the benefits of the vendor relationship which would have a broader audience than any one product would. This would potentially go beyond creating interest with the vendor, but subtly showcase the value of the relationship, which would then resonate across product pitches. The audience may not remember the products but would be more likely to walk away thinking they should have a relationship with the vendor. One other thing I observed was that while most of the speakers were both scripted and well-rehearsed, there were a number that clearly struggled with the script. Even those that clearly had rehearsed a lot came off as a tad wooden. Doing scripts naturally takes a lot of practice and there are a lot of speakers that are vastly more comfortable speaking more off the cuff. You can see this in the current U.S. presidential election where Clinton appears to be far more comfortable using a script and comes off more naturally using one and Trump is vastly more exciting talking extemporaneously. It is often both easier and creates a better result if you match the prompting/scripting mode to the strengths of the speaker rather than forcing all of them to use either method. The most powerful ad was the 1984 ad that Apple created when they launched the Mac. It was all story and had virtually no product content yet those that have seen it likely remember it today and it constantly is held up as the best Super Bowl ad ever. This showcases the power of a story. Apple’s hiring of storytellers helps them pitch products is brilliant, and not just because I’m a storyteller myself but because it makes the pitch far more compelling and interesting. While I have no connection to this effort we all have limited time on this planet and, I don’t know about you, but I’d much rather spend that time hearing interesting stories than listening to yet another technology rich product pitch that lacks business foundation. So I’m a huge fan of this storytelling approach and think it represents a best practice partially because I’m tired of worrying about whether my brains are going to drip out of my ears.